You’re invited to join the Boom Club! Join the 400,000+ women who receive our best discounts, new videos, makeup tips, and skin care ideas every week. Enter your email to join the Boom Club now! 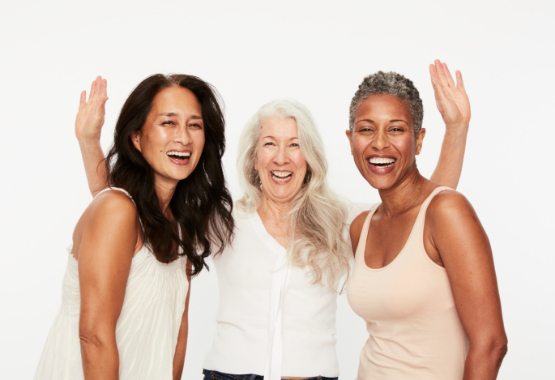 Years ago, our founder, Cindy Joseph began a worldwide movement to inspire women to love their ages, and recognize their own beauty in every decade of their lives. She called it the Pro-age Revolution. To date, hundreds of thousands of women have joined our Boom community, and become a part of this Pro-age Revolution. Every day, this community of pro-age women continues to grow—and inspires new generations of women to love themselves at every age. To our Boom community, aging is something to celebrate. It’s not something to be "accepted" or "put up with," but something to take pride in, to revel in, and to honor in every year of your life. The Pro-age Revolution Starts Here.